Probate is a subject that is increasingly grabbing the headlines not least because disputes are increasing, particularly in relation to who inherits and how much they inherit from a testator’s estate. This article focuses on some of the challenges that probate throws up and the work we do in this area. Probate is not a task for the faint-hearted as an article in The Sunday Times headlined recently. HM Revenue & Customs (HMRC) are increasing their scrutiny of probate and are expecting executors, who are personally liable for any mistakes they make, to carry out significant numbers of checks to ensure everything has been accounted for and to ensure that the right amount of tax is paid at the right time. In the light of the above, it’s perhaps not surprising that the number of estates where the Grant of Probate is a solicitor application has steadied over the past four years at 64% of all applications, having fallen by 30% in the early 2000’s. Why do people take it on themselves? A number of executors take on the responsibility for winding up an estate out of a sense of loyalty and duty to the deceased but the most quoted reason that people do it themselves is a perception that the task is not too difficult and the costs of instructing a professional too high. There is no doubt that where an estate is relatively straightforward (e.g. just a main home and a very limited number of bank accounts and the estate passes to the surviving spouse or civil partner) the task isn’t onerous and for executors who have that sense of duty and the time and inclination to appreciate the intricacies of the legal process it can be a very fulfilling task. However, once you add in some of the complexities referred to previously, it rapidly becomes a much more difficult task and the risks increase exponentially. A number of executors continue to plough on in the face of such difficulties. However, our long experience suggests that where an individual’s estate is complex, there is a risk of a dispute and tax to pay, a call to one of our Probate team is worthwhile as we can outline a number of options that could cost effectively reduce the stresses and strains and time that probate takes and our advice may even pay for itself. In this situation, our role is limited to completing the inheritance tax forms, preparing the oath and extracting the grant from the probate registry. In taxable estates we will also calculate the inheritance tax. We offer a fixed fee Grant-only service giving clients cost certainty from the outset. Our executor support service allows you to choose from our full range of services including those areas where clients value professional support but have the time to undertake some of the work and are willing to invest time in understanding the intricacies of the legal process. We can provide initial advice such as guidance on the terms of the Will, what to do when someone has died without making a Will and on the administrative procedures and requirements involved in the probate process. We also deal with tax, corresponding with HMRC and many other apsects of probate as fully desribed on our webpage: Executor support service. Each component is separately estimated depending on the expected time that the task will take and a fixed fee alternative will normally be available. In this case we will deal with the estate administration from start to finish. This service is appropriate where you do not have the time, are not used to dealing with finances or are going through a difficult time and want someone efficient and sensitive to handle everything for you. We are used to winding up estates of every size and complexity and are likely to be able to complete the work in approximately half the time it would otherwise take a lay executor to complete the process. There’s no doubting that it’s a concern to clients and it’s something that we prefer to address positively. Historically, and still occasionally, tariff sheets for banks and other professionals quote charges of anything between 2-7% of the value of an estate, sometimes with additional charges on top. We have a long history of undertaking probates and are therefore in a position to state authoritatively what our clients costs experience is likely to be. For smaller estates (i.e. those that are below the inheritance tax threshold or where there is no tax and the spouse is the sole beneficiary) the cost of our full estate administration service should be no more than 2% of the estate (unless there are potentially difficult circumstances to manage). Thereafter economies of scale will kick in and the cost of our full estate administration service falls to just over 1% of the value of the estate for estates worth over £1.2million. Clearly, very complex estates may incur costs outside of these ranges but where that is the case this will be obvious at the start and we will agree with our clients the costs that will arise. Costs will also be more difficult to manage where there are disputes but these too would be discussed with our clients before they are incurred. The speed at which a lawyer is likely to undertake the task will ensure beneficiaries have the use of the funds from the estate far more quickly than they otherwise would which may enable them to save interest on loans they can pay off earlier or other benefits. The cost of this insurance is factored into our charges whereas a lay executor would have to purchase insurance themselves to avoid any personal liability if anything is missed. 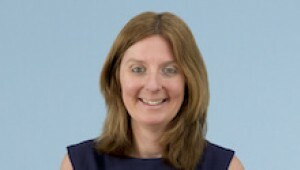 The Thomson Snell & Passmore Probate team is led by Helen Stewart. In all the team has some 60 years experience of probate and manages a varied caseload comprising about 200 probate matters a year of which the majority are full estate administration. Please get in touch with one of the team on 01892 701398 if you wish to discuss your particular circumstance.